To winter sports enthusiasts it may seem nonsense to spend summer holidays in the mountains; on the contrary, the summer nature and atmosphere in the mountains may be very surprising. 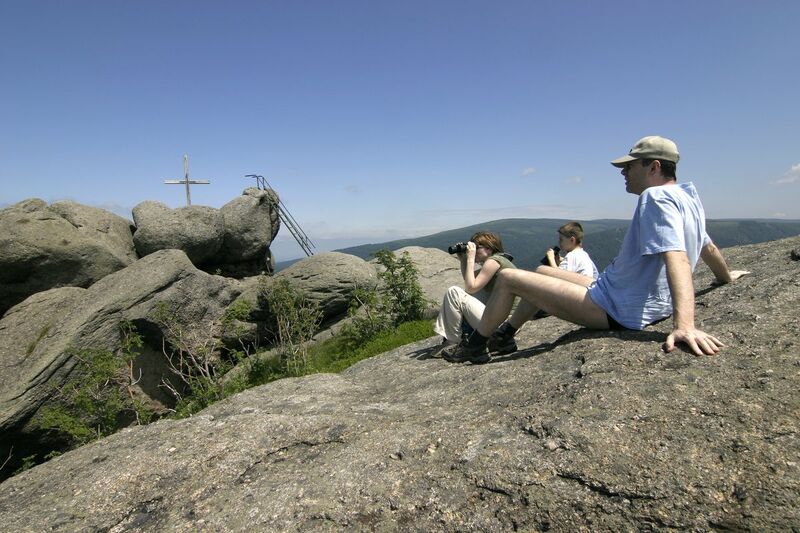 The Jizera Mountains change in summer into a destination full of cycle routes and walking tracks, a place that offers varied trips into the countryside, where you can discover mountain culture and Czech history. Visitors have a great opportunity to see places which would hardly be accessible on skis. Almost everyone knows the Jizera Mountains; however, not many people know that they are among the cleanest mountains in our country. Everyone looking for authentic experiences in the mountains and everything that goes with it, such as hiking, cycle trips, Nordic Walking or simply strolling through meadows during family holidays, will find them here. You can visit the “Jizerky”, as they are familiarly called not only by the locals but also by visitors, all year round. Your breath will be taken away in summer by the deep forests and numerous waterfalls, mountain meadows and peat bogs. Nature in the Jizera Mountains is very varied and is home to many protected species of plants and animals. With a little luck you could come across some of them while wandering through the Jizera countryside on your family holiday. The hills and mountains of the Jizera Mountains are literally a second home for sports enthusiasts. A good infrastructure and high level of sports options ensure some great sports activities. During the summer, the Jizera Mountains are sought after for hiking, but in recent years cycling holidays have also become very popular. 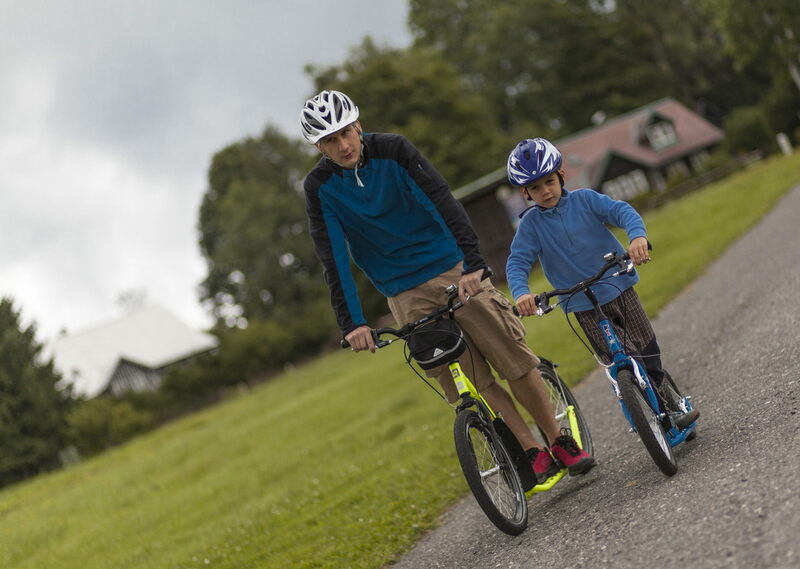 Due to its undulating topography, cyclists have ideal conditions, which they widely use. A very extensive system of marked walking trails satisfies all tastes. Not only cyclists, but climbers too can find all they need here. 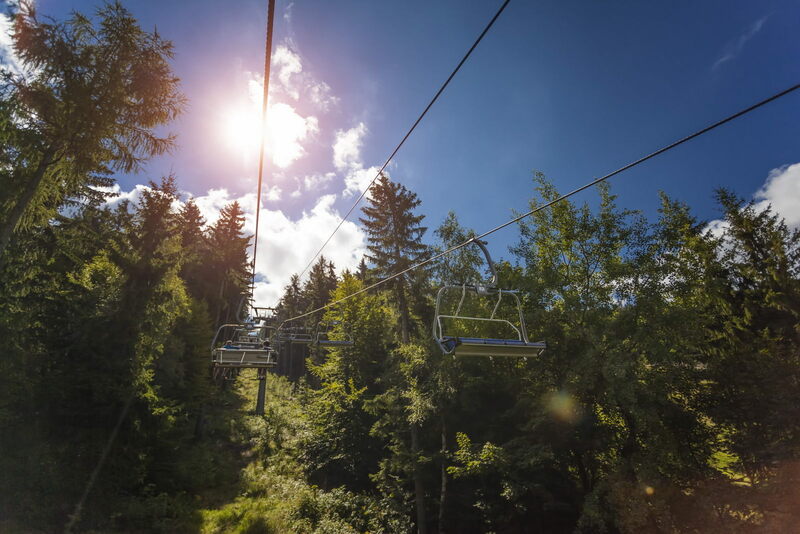 Your sports experiences in the Jizera Mountains will be unforgettable! Although facilities for families with children are common in the West, here in the Czech Republic standard and above-standard services are still in the teething stage. But this is not so in the Jizera Mountains! Whether it is ski or sports facilities, restaurants or museums, we keep you and also your youngsters in mind and we strive to offer our facilities and services in such a way as to save you time and worries so that you can enjoy your holiday to the full. There are an abundance of sports instructors for children, children’s corners and playgrounds, child supervision on the actual slopes and food vouchers for children. You will enjoy your family holiday here like never before. A great advantage of the Jizera Mountains is their location. You can get here from Prague, Central Bohemia and also from Poland and Germany very easily along the motorway, and the journey doesn´t take too long. Another advantage is the wide range of accommodation. Whether you are looking for a romantic log cabin, privacy in an apartment, the luxury and comfort of a hotel or a family guest house with a playground, you will find everything here!